This article is about a form of legislature. For other uses, see Bicameralism (disambiguation). A bicameral legislature divides the legislators into two separate assemblies, chambers, or houses. Bicameralism is distinguished from unicameralism, in which all members deliberate and vote as a single group, and from some legislatures that have three or more separate assemblies, chambers, or houses. As of 2015[update], fewer than half the world's national legislatures are bicameral. Often, the members of the two chambers are elected or selected by different methods, which vary from country to country. This can often lead to the two chambers having very different compositions of members. Enactment of primary legislation often requires a concurrent majority – the approval of a majority of members in each of the chambers of the legislature. When this is the case, the legislature may be called an example of perfect bicameralism. However, in many Westminster system parliaments, the house to which the executive is responsible can overrule the other house and may be regarded as an example of imperfect bicameralism. Some legislatures lie in between these two positions, with one house only able to overrule the other under certain circumstances. The Founding Fathers of the United States favoured a bicameral legislature. The idea was to have the Senate be wealthier and wiser. Benjamin Rush saw this though, and noted that "this type of dominion is almost always connected with opulence". The Senate was created to be a stabilising force, elected not by mass electors, but selected by the State legislators. Senators would be more knowledgeable and more deliberate—a sort of republican nobility—and a counter to what Madison saw as the "fickleness and passion" that could absorb the House. He noted further that "The use of the Senate is to consist in its proceeding with more coolness, with more system and with more wisdom, than the popular branch." Madison's argument led the Framers to grant the Senate prerogatives in foreign policy, an area where steadiness, discretion, and caution were deemed especially important. State legislators chose the Senate, and senators had to possess significant property to be deemed worthy and sensible enough for the position. In 1913, the 17th Amendment passed, which mandated choosing Senators by popular vote rather than State legislatures. As part of the Great Compromise, the Founding Fathers invented a new rationale for bicameralism in which the Senate had states represented equally, and the House had them represented by population. The British Parliament is often referred to as the Mother of Parliaments (in fact a misquotation of John Bright, who remarked in 1865 that "England is the Mother of Parliaments") because the British Parliament has been the model for most other parliamentary systems, and its Acts have created many other parliaments. Many nations with parliaments have to some degree emulated the British "three-tier" model. Most countries in Europe and the Commonwealth have similarly organised parliaments with a largely ceremonial head of state who formally opens and closes parliament, a large elected lower house, and a smaller upper house. —  Walter Bagehot, "The English Constitution", in Norman St John-Stevas, ed., The Collected Works of Walter Bagehot, London, The Economist, vol. 5, pp. 273–274. There have been a number of rationales put forward in favour of bicameralism, federal states have often adopted it, and the solution remains popular when regional differences or sensitivities require more explicit representation, with the second chamber representing the constituent states. Nevertheless, the older justification for second chambers—providing opportunities for second thoughts about legislation—has survived. Growing awareness of the complexity of the notion of representation and the multifunctional nature of modern legislatures may be affording incipient new rationales for second chambers, though these do generally remain contested institutions in ways that first chambers are not. An example of political controversy regarding a second chamber has been the debate over the powers of the Senate of Canada or the election of the Senate of France. a plenary session of both houses at the same time and place. Conferences of the Houses of the English (later British) Parliament met in the Painted Chamber of the Palace of Westminster. Historically there were a distinction between an "ordinary conference" and a "free conference"; an ordinary conference in the British Parliament was last held in 1860 as the elaborate procedure was replaced by the simpler sending of messages. A "free conference" meets in private to resolve a dispute; it is organised by managers appointed by each house who report back to it. The last free conference at Westminster was in 1836 on an amendment to the Municipal Corporations Act 1835; the previous one was in 1740. In the Parliament of Australia there have been two formal conferences, in 1930 and 1931, but many informal conferences. As of 2007[update] the "Conference of Managers" remains the usual procedure for dispute resolution in the Parliament of South Australia. In the Parliament of New South Wales in 2011, the Legislative Assembly requested a free conference with the Legislative Council over a bill on graffiti; after a year the Council refused, describing the mechanism as archaic and inappropriate. The United States Congress has conference committees to resolve discrepancies between House and Senate versions of a bill. The number of conference reports produced by such committees fell from 67 in the 104th Congress (1995–96) to 3 in the 113th Congress (2013–14). In the United States, Australia, Brazil, and Mexico, for example, each state is given the same number of seats in one of the houses of the legislature, despite variance in the population of each state — it is designed to ensure that smaller states are not overshadowed by larger states, which may have more representation in the other house of the legislature. 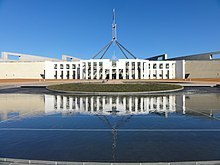 The bicameral Parliament of Australia consists of two Houses, the lower house is called the House of Representatives and the upper house is named the Senate. The lower house currently consists of 150 members, each elected from single member constituencies, known as electoral divisions (commonly referred to as "electorates" or "seats") using full-preference Instant-runoff voting. This tends to lead to the chamber being dominated by two major parties, the Liberal/National Coalition and the Labor Party. The government of the day must achieve the confidence of this House to gain and hold power. The upper house, the Senate, is also popularly elected under the single transferable vote system of proportional representation. There are a total of 76 senators: 12 senators are elected from each of the six Australian states (regardless of population) and two from each of the two autonomous internal territories (the Australian Capital Territory and the Northern Territory). Unlike upper houses in most Westminster parliamentary systems, the Australian Senate is vested with significant power, including the capacity to block legislation initiated by the government in the House of Representatives, making it a distinctive hybrid of British Westminster bicameralism and US-style bicameralism. As a result of proportional representation, the chamber features a multitude of parties vying for power. The governing party or coalition, which must maintain the confidence of the lower house, rarely has a majority in the Senate and usually needs to negotiate with other parties and Independents to get legislation passed. In the German, Indian, and Pakistani systems, the upper houses (the Bundesrat, the Rajya Sabha, and the Senate respectively) are even more closely linked with the federal system, being appointed or elected directly by the governments or legislatures of each German or Indian state, or Pakistani province. This was also the case in the United States before the Seventeenth Amendment was adopted. Because of this coupling to the executive branch, German legal doctrine does not treat the Bundesrat as the second chamber of a bicameral system formally. Rather, it sees the Bundesrat and the Bundestag as independent constitutional bodies. Only the directly elected Bundestag is considered the parliament. In the German Bundesrat, the various Länder have between three and six votes; thus, while the less populated states have a lower weight, they still have a stronger voting power than would be the case in a system based purely on population, as the most populous Land currently has about 27 times the population of the least populous. The Indian upper house does not have the states represented equally, but on the basis of their population. There is also bicameralism in countries that are not federations, but have upper houses with representation on a territorial basis. For example, in South Africa, the National Council of Provinces (and before 1997, the Senate) has its members chosen by each Province's legislature. In Spain the Senate functions as a de facto territorial-based upper house, and there has been some pressure from the Autonomous Communities to reform it into a strictly territorial chamber. The European Union maintains a bicameral legislative system consisting of the European Parliament, which is elected in elections on the basis of universal suffrage, and the Council of the European Union, which consists of one representative for each Government of member countries, who are competent for a relevant field of legislation. The European Union is not considered a country nor a state, but it enjoys the power to address national Governments in many areas. The best known example is the British House of Lords, which includes a number of hereditary peers. The House of Lords is a vestige of the aristocratic system that once predominated in British politics, while the other house, the House of Commons, is entirely elected. Over the years, some have proposed reforms to the House of Lords, some of which have been at least partly successful. The House of Lords Act 1999 limited the number of hereditary peers (as opposed to life peers, appointed by the Monarch on the advice of the Prime Minister) to 92, down from around 700. Of these 92, one is the Earl Marshal, a hereditary office always held by the Duke of Norfolk, one is the Lord Great Chamberlain, a hereditary office held by turns, currently by the Marquess of Cholmondeley, and the other 90 are elected by all sitting peers. Hereditary peers elected by the House to sit as representative peers sit for life; when a representative peer dies, byelections occur to fill the vacancy. The ability of the House of Lords to block legislation is curtailed by the Parliament Acts 1911 and 1949. Peers can introduce bills except Money Bills, and all legislation must be passed by both Houses of Parliament. If not passed within two sessions, the House of Commons can override the Lords delay by invoking the Parliament Act. Certain legislation, however, must be approved by both Houses and can't be forced through by the Commons under the Parliament Act. These include any bill that would extend the time length of a Parliament, private bills, bills sent to the House of Lords less than one month before the end of a session, and bills that originated in the House of Lords. Life Peers are appointed either by recommendation of the Appointment Commission; the independent body that vets non-partisan peers, typically from academia, business or culture, or by Dissolution Honour, which takes place at the end of every Parliamentary term and leaving MPs may be offered a seat to keep their institutional memory. It is traditional to offer a peerage to every outgoing Speaker of the House of Commons. Some bicameral legislatures have chambers that meet on different buildings, at different parts of the city. Here, France's upper house called the Senate meet in the Luxembourg Palace (top), while the lower house, the National Assembly, meets at the Palais Bourbon (bottom). On the other hand, in Italy the Parliament consists of two chambers that have the same role and power: the Senate (Senate of the Republic, commonly considered the upper house) and the Chamber of Deputies (considered the lower house). 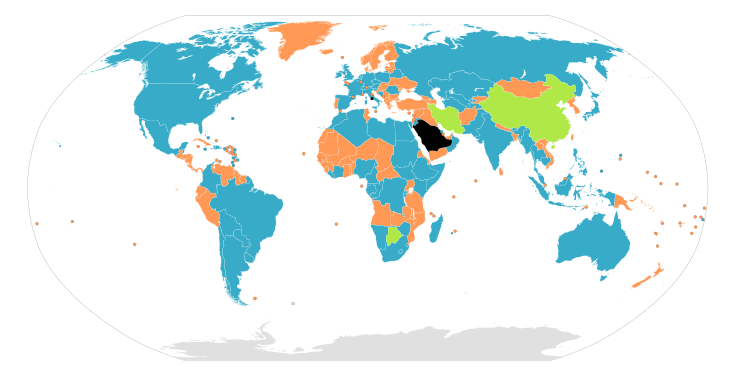 In some of these countries, the upper house is indirectly elected. Members of France's Senate and Ireland's Seanad Éireann are chosen by electoral colleges, the latter's consisting of members of the lower house, local councillors, the Taoiseach, and graduates of selected universities, while the Netherlands' Senate is chosen by members of provincial assemblies (which, in turn, are directly elected). Norway had a kind of semi-bicameral legislature with two chambers, or departments, within the same elected body, the Storting. These were called the Odelsting and were abolished after the general election of 2009. According to Morten Søberg, there was a related system in the 1798 constitution of the Batavian Republic. In Hong Kong, members of the unicameral Legislative Council returned from the democratically elected geographical constituencies and partially-democratic functional constituencies are required to vote separately since 1997 on motions, bills or amendments to government bills not introduced by the government. The passage of these motions, bills or amendments to government bills requires double majority in both groups simultaneously. (Before 2004, when elections to the Legislative Council from the Election Committee was abolished, members returned through the Election Committee vote with members returned from geographical constituencies.) The double majority requirement does not apply to motions, bills and amendments introduced by the government. In some countries with federal systems, individual states (like those of the United States, Argentina, Australia and India) may also have bicameral legislatures. A few such states as Nebraska in the U.S., Queensland in Australia, Bavaria in Germany, and Tucumán and Córdoba in Argentina have later adopted unicameral systems. (Brazilian states and Canadian provinces had all their upper houses abolished. In Argentina, eight provinces have bicameral legislatures, with a Senate and a Chamber of Deputies: Buenos Aires, Catamarca, Corrientes, Entre Ríos, Mendoza, Salta, San Luis (since 1987) and Santa Fe. Tucumán and Córdoba changed to unicameral systems in 1990 and 2001 respectively. In Australian states, the lower house was traditionally elected based on the one-vote-one-value principle, whereas the upper house was partially appointed and elected, with a bias towards country voters and landowners. In Queensland, the appointed upper house was abolished in 1922, while in New South Wales there were similar attempts at abolition, before the upper house was reformed in the 1970s to provide for direct election. Nowadays, the upper house both federally and in most states is elected using the Single transferable vote form of proportional representation while the lower house uses Instant-runoff voting in single member electorates. This is reversed in the state of Tasmania, where proportional representation is used for the lower house and single member electorates for the upper house. The Legislature of the Federation of Bosnia and Herzegovina, one of the two entities of Bosnia and Herzegovina, is a bicameral legislative body. It consists of two chambers. The House of Representatives has 98 delegates, elected for four-year terms by proportional representation. The House of Peoples has 58 members, 17 delegates from among each of the constituent peoples of the Federation, and 7 delegates from among the other peoples. Republika Srpska, the other entity, has a unicameral parliament, known as the National Assembly. The German federal state of Bavaria had a bicameral legislature from 1946 to 1999, when the Senate was abolished by a referendum amending the state's constitution. The other 15 states have used a unicameral system since their founding. One third are elected by the members of local bodies in the state such as municipalities, gram sabhas/gram panchayats, panchayat samitis and the district councils of India. One third are elected by the members of State Legsilative Assembly (vidhan sabha) of the state from among the persons who are not members of the State Legislative Assembly. One sixth are nominated by the governor of the state from persons having knowledge or practical experience in fields such as literature, science, arts, the co-operative movement and social service. One twelfth are elected by persons who are graduates of three years' standing residing in that state. One twelfth are elected by persons engaged for at least three years in teaching in educational institutions within the state not lower than secondary schools, including colleges and universities. From 1956 to 1958 the Andhra Pradesh Legislature was unicameral. In 1958, when the State Legislative Council was formed, it became bicameral until 1 June 1985 when it was abolished. This continued until March 2007 when the State Legislative Council was reestablished and elections were held for its seats. Since then the Andhra Pradesh Legislature has become once again bicameral. In Tamil Nadu, a resolution was passed on 14 May 1986 and the State Legislative Council was dissolved on 1 November 1986. Again on 12 April 2010, a resolution was passed to bring it back bicameral, but became unsuccessful in 2011. Similarly the states of Assam, Madhya Pradesh, Punjab and West Bengal have also dissolved the upper house of their state legislature. A 2005 report on democratic reform in the Arab world by the U.S. Council on Foreign Relations co-sponsored by former Secretary of State Madeleine Albright urged Arab states to adopt bicameralism, with upper chambers appointed on a 'specialized basis'. The Council claimed that this would protect against the 'Tyranny of the majority', expressing concerns that without a system of checks and balances extremists would use the single chamber parliaments to restrict the rights of minority groups. A referendum on a new constitution was held on 30 October 2016. The constitution draft would create a bicameral Parliament instead of the current unicameral. The Senate is expected to represent the interests of territorial collectivities and Ivoirians living abroad. Two thirds of the Senate is to be elected at the same time as the general election. The remaining one third is appointed by the president elect. Ethiopia Federal Parliamentary Assembly Regional Councils are unicameral. Assemblypersons of the Regional Councils are elected directly. France Parliament in the Fifth French Republic All Regional Councils are unicameral. The regional councillors are elected directly. Germany N/A In Germany, the chambers form two distinct constitutional bodies not framed by a comprehensive institution. All of the federal states (Länder) today have unicameral parliaments. India Parliament seven of the twenty-nine states also have bicameral legislatures, consisting the upper house State Legsilative Council (Vidhan Parishad) and lower house State Legislative Assembly (Vidhan Sabha) respectively. The remaining twenty-two states and the union territories of Delhi and Puducherry have unicameral legislature. Indonesia People's Consultative Assembly All of the provinces have unicameral parliaments. Myanmar Pyidaungsu Hluttaw (Assembly of the Union) All the 14 State and Region Hluttaw (Assemblies) are unicameral. Nepal Parliament All of the provincial assemblies are unicameral. Denmark Rigsdagen Under the 1849 constitution Rigsdagen was created, with two houses, an upper and lower house. However, after the 1953 referendum, both Rigsdagen and the Landsting was abolished, making the Folketing the sole chamber of the parliament. Korea, South Parliament Under the first constitution (first republic, 1948–52), the National Assembly was unicameral. The second and third constitutions (first republic, 1952–60) regulated the National Assembly was bicameral and consisted of the House of Commons and the Senate, but only the House of Commons was established and the House of Commons could not pass a bill to establish the Senate. During the short-lived second republic (1960–61), the National Assembly became practically bicameral, but it was overturned by the May 16 coup. The National Assembly has been unicameral since its reopen in 1963. Peru Congress The 1979 Constitution, which marked the return to democracy, followed the trend of previous constitutions of keeping a bicameral legislature. However it was dissolved altogether by President Alberto Fujimori by his 1992 autocoup. Later, under the newer 1993 constitution, the bicameral system was replaced by the unicameral Congress of the Republic. Sweden Riksdagen Until 1970, the Swedish Riksdag was bicameral. It became unicameral in 1971, but retained the name Riksdag. Venezuela Congress Under the 1999 constitution, the bicameral system was replaced by the unicameral National Assembly of Venezuela. Mauritania Parliament Under the 2017 Referendum, the bicameral system was replaced by the unicameral system. ^ "IPU PARLINE database: Structure of parliaments". www.ipu.org. Retrieved 25 October 2015. ^ a b c "The Constitutional Background - House of Representatives archives". ^ Julian Go (2007). "A Globalizing Constitutionalism?, Views from the Postcolony, 1945-2000". In Arjomand, Saïd Amir (ed.). Constitutionalism and political reconstruction. Brill. pp. 92–94. ISBN 978-9004151741. ^ a b "Chapter 21: Relations with the House of Representatives". Odgers' Australian Senate Practice (14th ed.). Parliament of Australia. Retrieved 19 February 2018. ^ Jones, Clyve (2014). "Accommodation in the Painted Chamber for Conferences between the Lords and the Commons from 1600 to 1834". Parliamentary History. 33 (2): 342–357. doi:10.1111/1750-0206.12100. ISSN 0264-2824. ^ Blayden 2017 p.6; "Free Conference—Municipal Corporations' Act Amendment (, )". Hansard. 11 August 1836. HC Deb vol 35 cc1125–7. Retrieved 19 February 2018. ^ Blayden 2017 p.6; "Managers for the Free Conference, on the Bill to prevent Commerce with Spain". House of Lords Journal. British History Online. 22–24 April 1740. Volume 25, pp.518–526. Retrieved 19 February 2018. ^ a b Blayden, Lynsey (September 2017). "Do free conferences have a place in the present-day NSW Parliament?" (PDF). Australasian Study of Parliament Group. Retrieved 19 February 2018. ^ Crump, Rick (Spring 2007). "Why the conference procedure remains the preferred method for resolving disputes between the two houses of the South Australian Parliament". Australasian Parliamentary Review. 22 (2): 120–136. CiteSeerX 10.1.1.611.7131. ^ "Papers on Parliament No. 34 Representation and Institutional Change: 50 Years of Proportional Representation in the Senate". 1999. Retrieved 23 February 2017. ^ How do you become a Member of the House of Lords? - UK Parliament. Parliament.uk (21 April 2010). Retrieved on 2013-07-12. ^ Malamud, Andrés and Martín Costanzo (2010) "Bicameralismo subnacional: el caso argentino en perspectiva comparada". In: Igor Vivero Ávila (ed. ), Democracia y reformas políticas en México y América Latina (pp. 219-246). Mexico: M. A. Porrúa. ^ "About National Assembly - NSRS". www.narodnaskupstinars.net. ^ "Innovations of the Draft Constitution of Cote d'Ivoire: Towards hyper-presidentialism?". Noncontemporaneous Lawmaking: Can the 110th Senate Enact a Bill Passed by the 109th House?, 16 Cornell J.L. & Pub. Pol'y 331 (2007). Aaron-Andrew P. Bruhl, Against Mix-and-Match Lawmaking, 16 Cornell J.L. & Pub. Pol'y 349 (2007). Defending the (Not So) Indefensible: A Reply to Professor Aaron-Andrew P. Bruhl, 16 Cornell J.L. & Pub. Pol'y 363 (2007).